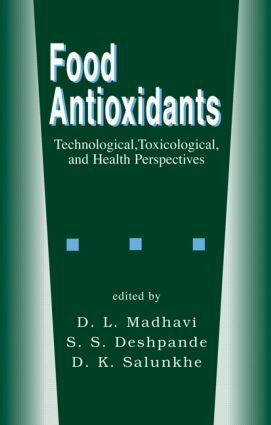 "Offers comprehensive coverage of the latest toxicological, technological, and nutritional developments in both natural and synthetic antioxidants used in the food industry. Explores the sources of antioxidants, antioxidant classification, synergism, degradation in food systems, and techniques for identification." ". . .a comprehensive source of data." Lipid oxidation in biological and food systems; food antioxidants - sources and methods of evaluation; technological aspects of food anti-oxidants; toxicological aspects of food antioxidants; health aspects of food antioxidants; summary, conclusions and future research.